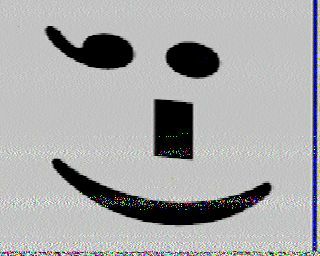 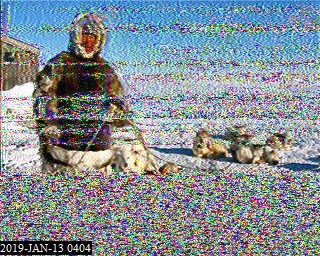 Faint, playing blues music and sent at least one SSTV. 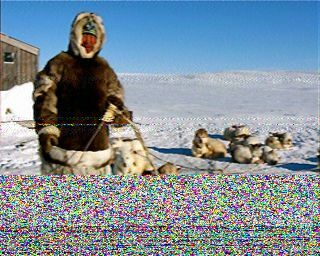 Various SSTV's sent (I think three altogether) but this last one at about 0416 was the best quality. 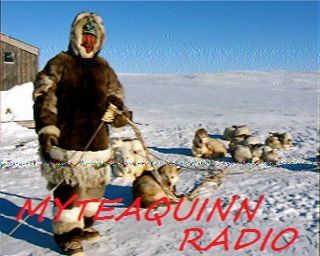 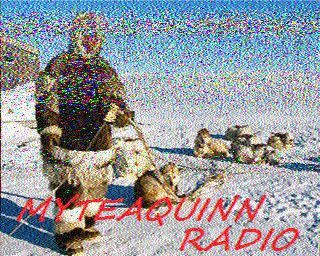 The Mighty Quinn and then this SSTV image. 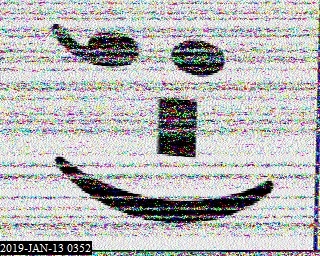 0409 UTC - Signal S5 in WNY, hearing blues, just above the noise.